Olympus has announced the new exciting Olympus E-620 DSLR camera that places it self between their models the E-520 and the E-30. The camera features a tilt screen, 12.3 megapixels and a new 7 point auto focus system. 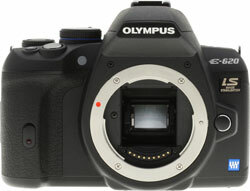 The Olympus E-620 will be available in May 2009 and cost about $700.